Note: This article is for use by Billing Administrators or those club members that handle billing and invoices. Billing codes are required in order for invoices to function. 4. 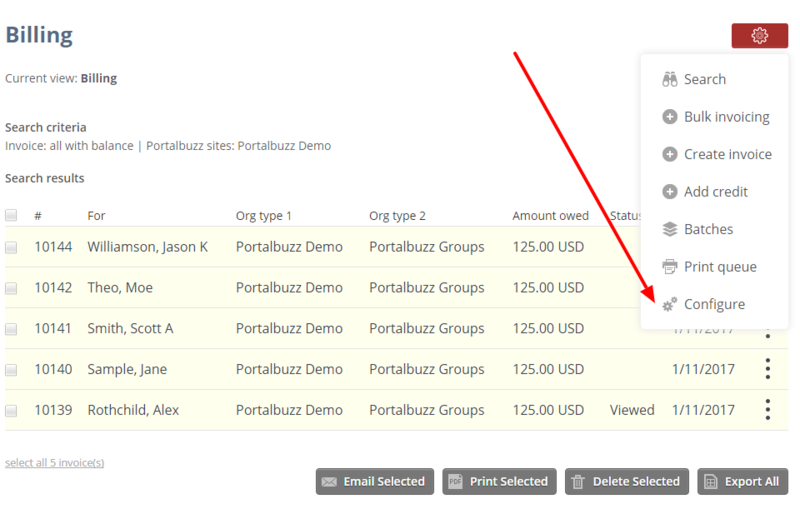 On the Billing Configuration page, locate Billing codes then click the Configure button. 5. 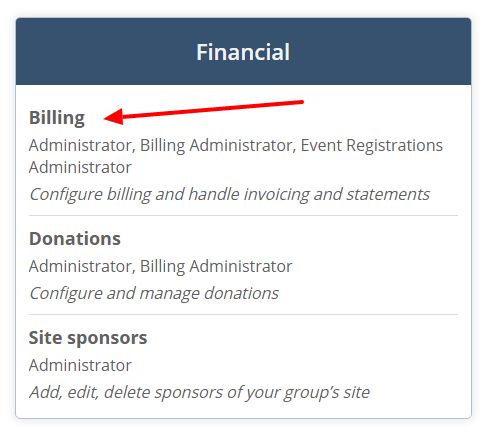 Click the red Admin icon > Add billing code to create a new billing code. 6. Fill out the required fields then click the Save button. 7. Click the three dots icon and select Edit to edit a particular billing code. 8. Click the power button to activate/deactivate a particular billing code. 9. Click the trash icon to delete a particular billing code. 10. Click Show inactive codes link to display inactive billing codes. 11. Click the Return to configuration button to go back to the Configuration page.